CaseTalk 8.7 has a few fixes in the area of legacy transformations and verbalizations of rules. The major visual improvement however is present in the repository window. You can now easily view all super- and subtypes, and namespaces (if you have some). 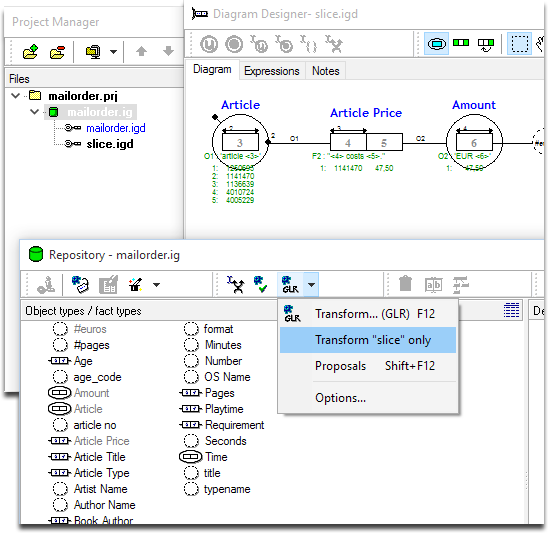 Download your update and read the changes for CaseTalk Modeler and CaseTalk Viewer. For the second time in a row, CaseTalk sponsors the Data Modeling Zone. This time we'll visit Berlin Germany, and Portland USA. We've added a new section in our website where you can freely study published models. Please have a look and share your own examples under the Create Commons License. CaseTalk Viewer v2.4 got a lot better in the ERD area. New exciting options include support for drawing weak entitites, weak relationships, ánd an additional option to turn on the displaying of the original facttype expressions which lead to this entity. The CaseTalk Modeler v8.6 contains minor updates and fixes and has become more stable and faster in several areas of use. In regard to the Reducing in the transformations, it is no longer implicitly executed within the Lexicalization ("L") phase. So if you see any unexpected behavious, don't forget to turn on Reducing. 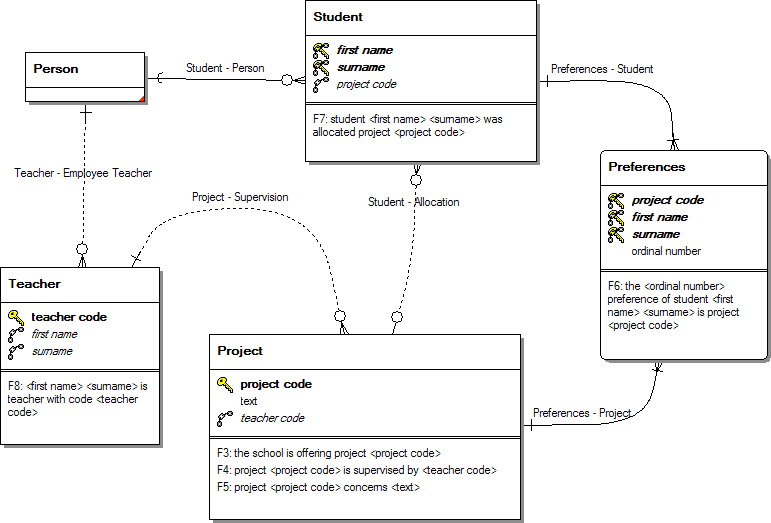 Also CaseTalk now allows your Diagram Window information to be exported to a HTML file. It will contain a clickable PNG, the required Expressions and your Richtext notes. Check the full list of changes is available here: Modeler and Viewer.